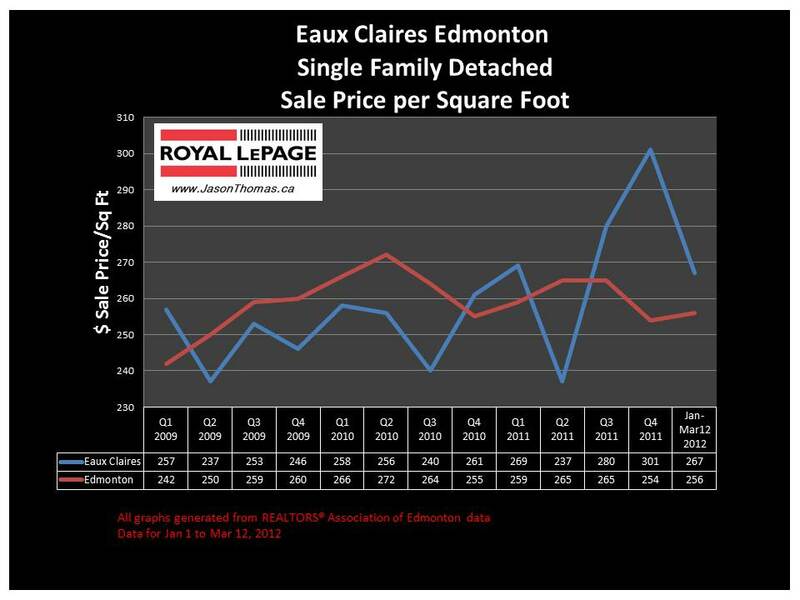 The Eaux Claires Edmonton real estate average sale price has been very strong since the 3rd quarter of 2011. Eaux Claires has seen it's average selling price per square foot be higher than the Edmonton average sold price per square foot. Eaux Claires has been stronger than the Edmonton average except for one quarter going back to the end of 2010. The highest sale price in Eaux Claires this year has been $655,000. The average time to sell a home in Eaux Claires in 2012 has been 62 days. This is just a little bit higher than the Edmonton average of 52 days on market so far in 2012. Click here if you are interested in finding out what your Eaux Claires Edmonton home is valued at in today's real estate market.